This special design totally expresses our minimal approach to graphic and product design. A contemporary yet basic pattern is digitally printed on the case, and it gives birth to a beautiful piece of work that can satisfy the pickiest requests. In fact, the decorations create a typographic artwork that fits perfectly and protects your smartphone device. 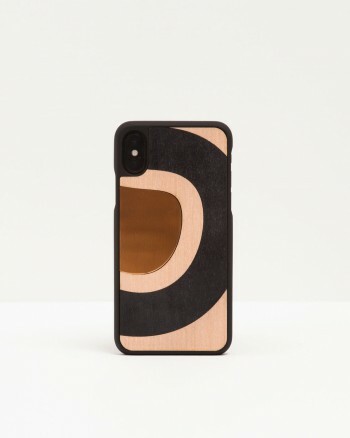 The case comes in a complimentary elegant wooden box, which, once opened, becomes a useful stander for your device, or a desk object to help you during your daily duties."